Día de los niños, Día de los libros is fast approaching, so over the next few days I'll be sharing various resources. To begin with you may want to check out my article from last year when I shared some ideas for celebrating Día with your family. Also, be sure to check out the official Día website hosted by the American Library Association (ALA). There you can check and see if there are any Día events being held near you by using their interactive map. Librarians can also download their free Resource Guide that helps them plan an event at their own library. 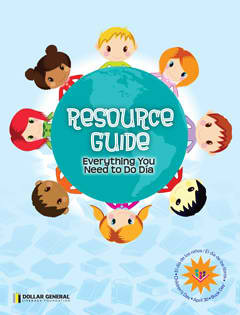 In addition, parents can download their latest Día book list, as well as coloring pages and activity sheets.